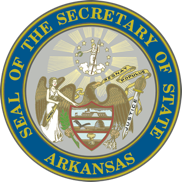 The Arkansas Register is an official publication of the State of Arkansas. It contains administrative rules and regulations adopted by the state agencies, boards and commissions pursuant to A.C.A. 25-15-205. Full text searches of Final Rules contained in the Register are only available for the period from September 1, 2001 to the present. For Final Rules prior to that date, please contact the Register editor.